Not to be judgmental, but I’m hoping that gang of peeps isn’t one of our Martian mining cohorts. On the other hand, they seem like a jolly lot, willing to ride on any passing vehicle or hayride. And, to be fair, they are looking for a musical bandwagon, rather than a bandwagon of trends and popularity, and anyone who searches for music is okay in my book, and also in my litterbox, my comfy doona, and upon my breezy, red-dusty veranda. 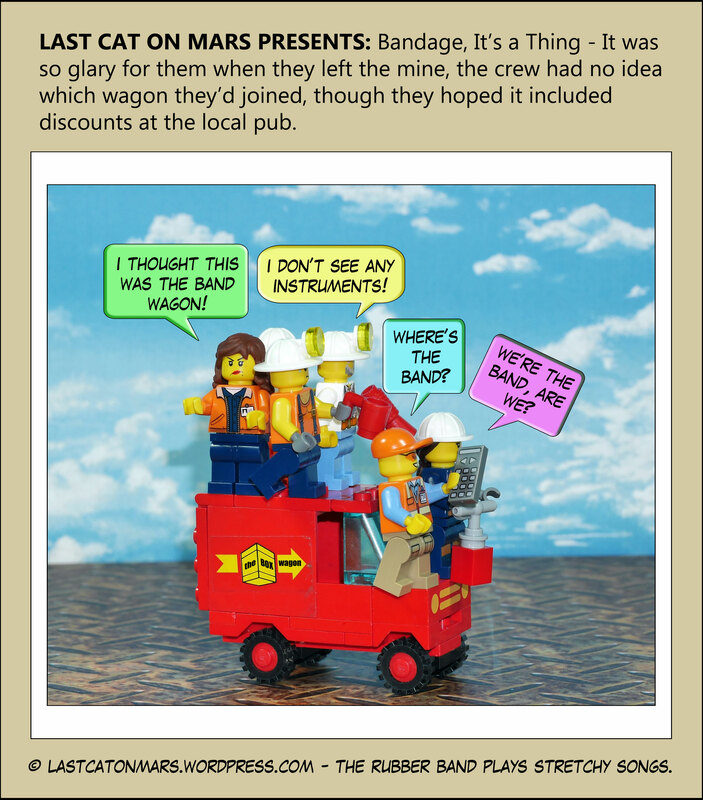 This entry was posted in Variety Show and tagged band-wagon, bandwagon, cartoon, comic, lego, miners, minifigures, truck on October 17, 2018 by Jay Verney.